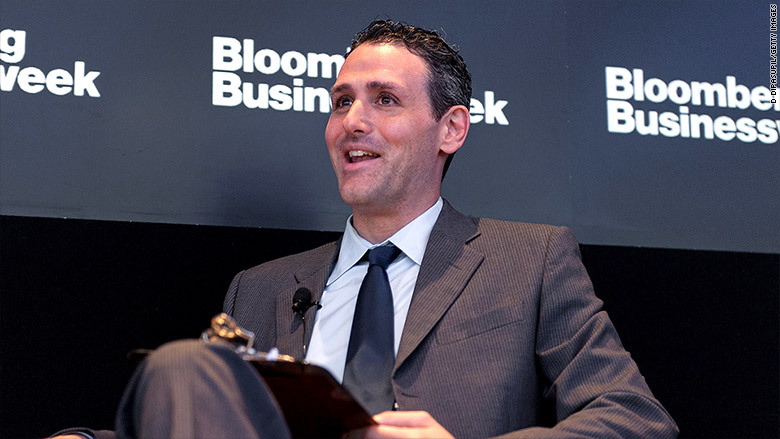 Josh Tyrangiel, once seen as the golden boy of the Bloomberg media empire, will resign this week in the wake of recent management changes, the company announced on Thursday. Tyrangiel, the editor of Bloomberg Businessweek who rose to a top position overseeing all of Bloomberg's consumer facing content, had been reined in after Michael Bloomberg returned to his company and hired John Micklethwait, the former editor of The Economist, to serve as editor-in-chief. At Businessweek, Tyrangiel will be replaced by Ellen Pollock, who currently serves as deputy editor. Pollock, who joined Businessweek from The Wall Street Journal in 2007, will be the first woman editor to lead the magazine. "Ellen is an editor of the highest caliber," Micklethwait said in a statement. "In more than 25 years at the Wall Street Journal and Businessweek, she has covered some of the biggest stories in global business and finance, and has overseen multiple Pulitzer Prize winning stories. We're thrilled." The seeds of Tyrangiel's departure from Bloomberg were planted six months ago. Tyrangiel joined Bloomberg six years ago after serving as deputy managing editor at Time Magazine, where he ran the magazine's website. He had fast become one of the most influential figures in the Bloomberg empire. While Bloomberg was serving as Mayor of New York, Tyrangiel rose through the ranks to chief content officer and oversaw a number of new consumer initiatives -- including new verticals and new Bloomberg Television programs -- under Bloomberg Media. When Bloomberg returned to his company, last September, what he found was that Tyrangiel was overseeing a media company within his media company -- a move that was at odds with Bloomberg's desire to create one cohesive company built around its main revenue driver, the Bloomberg terminals used by finance professionals. In December, Bloomberg hired Micklethwait and tasked him with restructuring the newsroom. Three months later, he moved Tyrangiel onto a new "Editorial Management Committee," with a special focus on longform journalism and magazines. The move gave Tyrangiel a seat in power but robbed him of his control over Bloomberg Media. Still, Tyrangiel spent the last six months as a key player under Micklethwait, who dispatched him to oversee the reorganization of Bloomberg's Washington bureau. In a memo to staff on Thursday, Micklethwait described the decision to move Tyrangiel to his inner circle as "one of the best decisions I ever made." "I think everyone knows what a creative editor Josh is -- and you only have to look at any edition of Businessweek to understand that," Micklethwait wrote. "What many people miss is how tirelessly Josh works, the phone calls, the attention to detail, the acts of kindness to those who work alongside him and the willingness to take on hard jobs, like helping reorganize Washington." In his own memo, Tyrangiel said he was leaving Bloomberg "brimming with memories and gratitude." He also praised Pollock as "an inspiration -- and the best editor I've ever worked with. The magazine would be no good, and no fun, without her," he wrote.